Enjoy a guided walking tour inside Saint Mark's Basilica and the Doge's Palace plus a short boat tour along Venice's Grand Canal with your guide on this combined tour. Fans of Renaissance architecture will be blown away it's actually like to live in this beautiful city and prepare to be fascinated by the intriguing history of La Serenissima. Your expert guide will show you the external sights of Saint Mark's Square which is a kind of open-air museum. 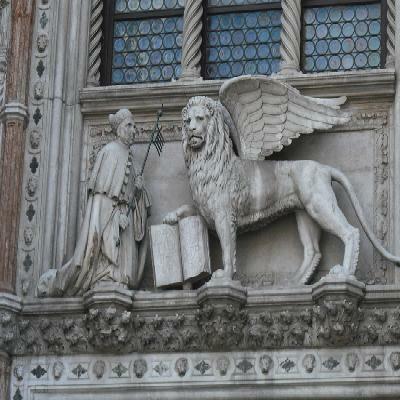 You will also visit the Doge's Palace, the Sansovino Library and the Bell Tower. You will hear amazing legends of the Clock Tower, the Bridge of Sighs and its adjoining prisons. 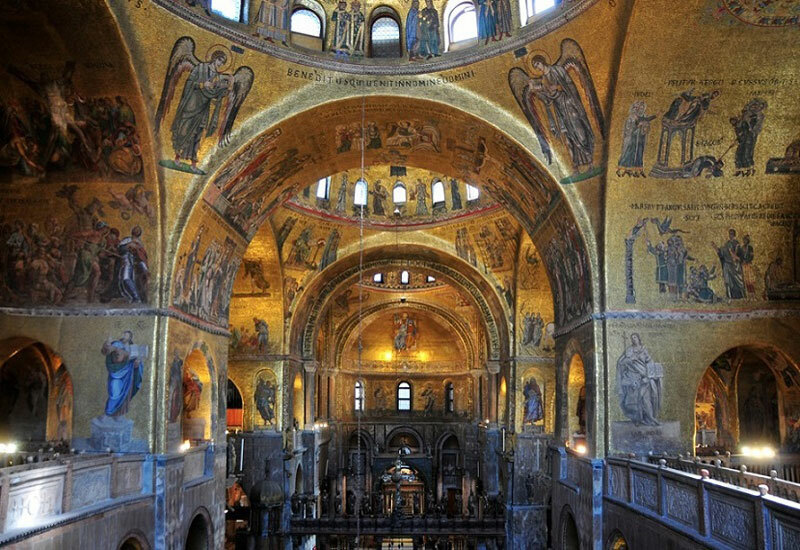 Fans of Renaissance architecture will be blown away by Venice's extraordinary masterpieces and will hear why they were built as they are. 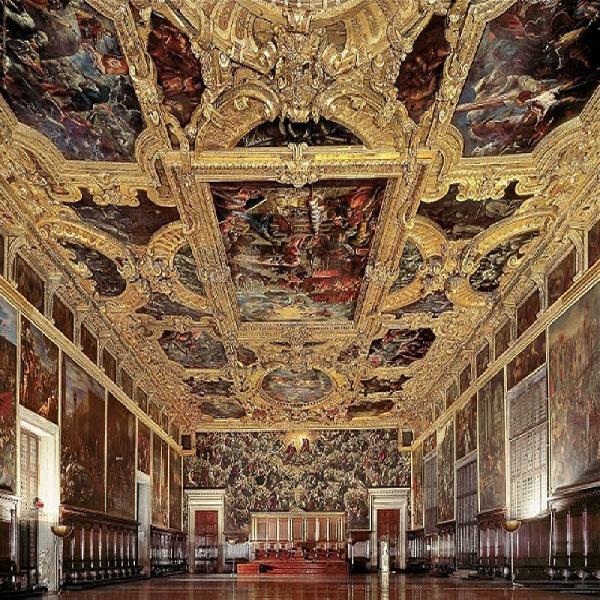 Your expert guide has a huge stock of fascinating anecdotes about this incredible city and its historical inhabitants, such as the infamous Casanova and extraordinary Marco Polo to name but two. if you're a first-time visitor to the city, this walk is absolutely essential and will leave you knowing so much more about this rather impractical but stunning city. 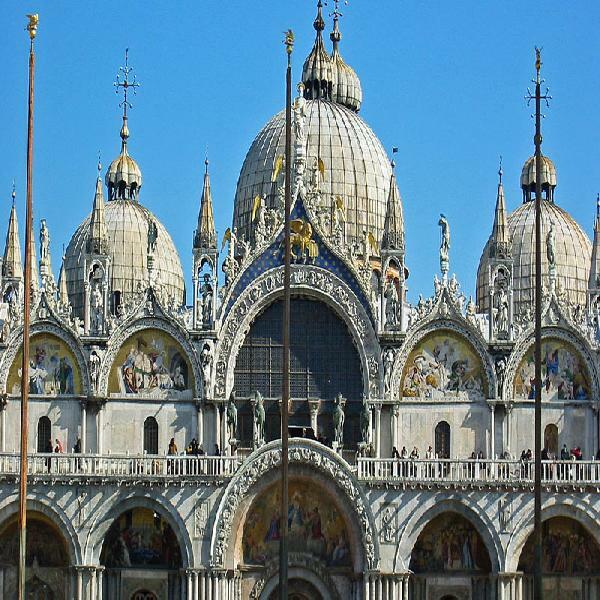 Your next port of call on this one-hour walking tour is the Doge's Palace, or "Palazzo Ducale" in Italian. You will be accompanied by an expert guide as you visit the sumptuous interior of this amazing building. The palace is an incredible combination of Gothic, Byzantine and Renaissance architecture, the centre of the Venetian Empire and the seat of the city's government. You will find out about the different roles played by the Doge and his councillors. 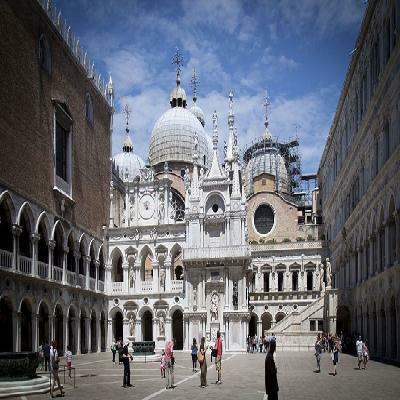 Your expert guide will also keep you entertained with fascinating snippets of Venetian legends as you walk through the eerie, narrow corridors towards the prison cells. 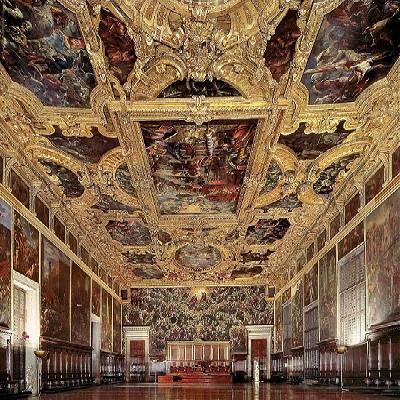 You will learn about some of the prisoners including Casanova, perhaps Venice's most infamous and intriguing escapee. When the visit ends, you will have free time to take lunch. You will then meet your guide at 4.30 pm for the Venice Grand Canal Small Boat Tour. 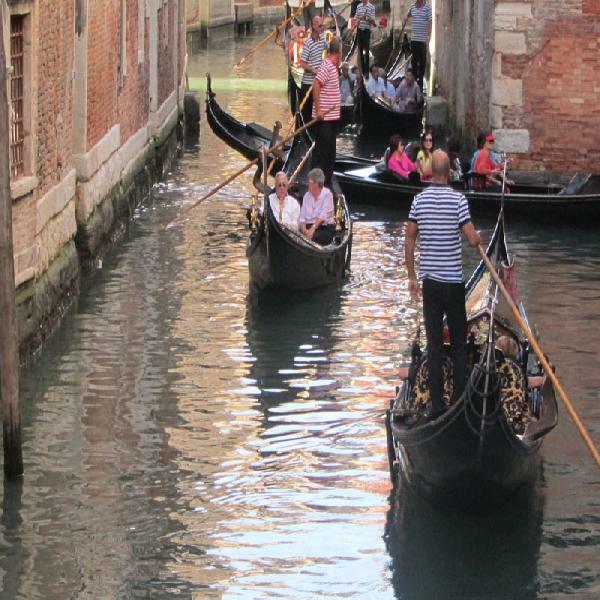 Glide along Venice's Grand Canal imagine what things were like when there were still gardens, 'squeri' (where gondolas were constructed), warehouses, and stone-masons along the banks of the canal. This is the world's most spectacular 'high street'. 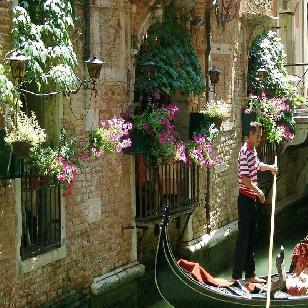 Gorgeous palaces were built over hundreds of years until slowly the Grand Canal became what it is today. This hour-long tour includes a cruise along the city's more secluded canals where you can enjoy the little picturesque bridges and see sights off the well-worn tourist track allowing you to see a quieter side of Venice. • Private water taxi for Grand Canal Boat tour. ceremonies, public holidays, private events or high water, and we don't always get advanced notice. The basilica and the square will be toured externally only and the tour of the Doge's Palace will last for 90 minutes; total length of tour (basilica + Doge's Palace) two hours.